Undoubtedly, Honda Amaze Diesel is the most awaited car of 2013. There has been immense eagerness and anxiety in people regarding its looks, features, and price. Ever Since, Honda Cars revealed their plans of its official launch in April, a lot of speculations are surrounding the Indian Car market. Recently, some of its specifications and premium features were leaked online. Here we will try to give you a sneak peak of some of its exquisite features. Apparently, It has been learned that Honda Amaze would be quite high from the ground, thus suiting the Indian roads. It will probably have a ground clearance of 165mm. This makes it more convenient and suitable for the complicated and sloppy Indian roads. Furthermore it would have a 4.6 meter turning radius to adjust to the nature of narrow Indian roads. 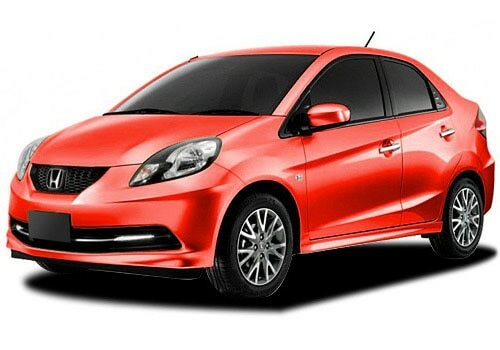 It is quite evident from the leaked Honda Amaze Pictures that it would be mixture of luxury and rigidness. Other than this, it is rumored to have featuring manual Air Conditioning, Dual Airbags, ABS & EBD, Driver's seat height adjustment, Rear demister, Blinkers integrated ORVMs, Center armrest with rear seat cup-holders, 400-litre boot, Fabric seats with integrated head-rests, front chrome grill along with Rear chrome garnish. By looking at this exclusive range of features, one can quite comfortably propound that Honda Amaze Features are just awesome. Its interior is said to be quite similar to the one that Honda Brio had. But here also, it appears to be more enigmatic and superior. The Engine specifications and other technical details were already known to public. But yes, it is now revealed that it would be launched in five colors. The colors are Black, Silver, White, Grey and Blue. Fuel economy would be 23kmpl which can considered good enough. Talking about the tires and other wheel specifications, it is believed that it would have 8-spoke 14 inches alloy wheels and 175/65 R14 tires. It would give the customer an option to choose between the two Engines. Either 1.2-liter Petrol Engine (Brio's Engine) or 1.5-liter i-DTEC Diesel Engine. Choice lies in customer's hands. Reportedly, the power output yielded by both the engines would also be quite similar which is around 85-90BHP. Hence, one needs not to get puzzled in this segment. Last but certainly not the least is Price. Honda Amaze Price is not revealed yet, but it is rumored to be available in Indian Car Market at price around Rs. 5.5-6.0 Lakhs.